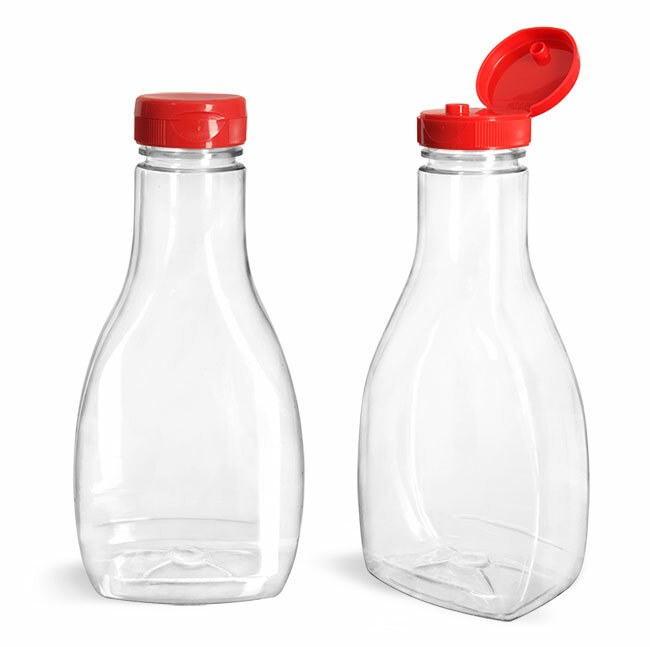 These PET sauce bottles are paired with red ribbed snap-top caps with .25" wide orifices for dispensing. These caps also have PS22 liners, which adhere to the bottle when fastened completely to provide tamper evidence. 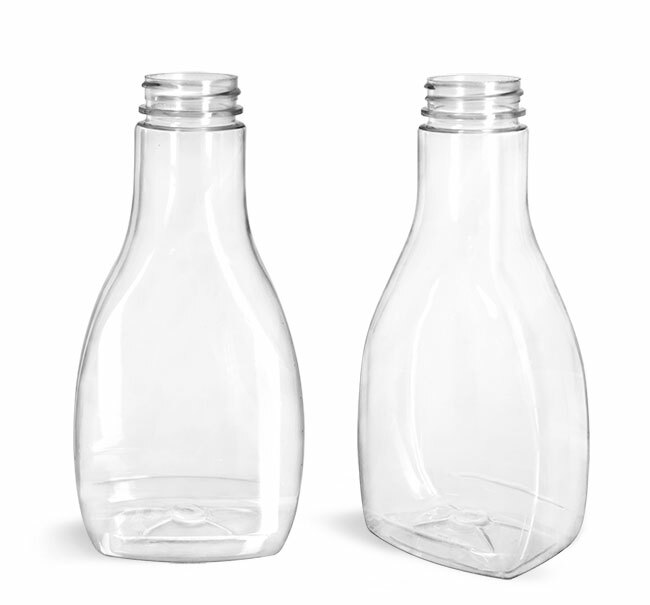 These bottles could be a good option for packaging and dispensing products like condiments, sauces, and marinades.